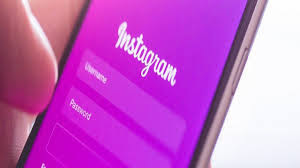 Instagram is a mobile photo and video-sharing app that allows users to upload and share content with their followers on the app and on other linked apps such as Twitter and Facebook. The application was launched in 2010 and since then, it has quickly become the favorite social media platform of a lot of people ranging from bloggers and celebrities to companies alike, allowing users to create creative and original authentic content and reach out to their followers and viewers. We will, in this article, take you through the simple steps of creating an Instagram profile for the first time. Download the Instagram app from the App Store ( for iOS) or Google Play Store ( for Android). When the app is installed, click on to open it. Click on Sign Up With Email or Phone Number ( for Android) or Create New Account ( for iOS ), then enter your email address or phone number (which will require a confirmation code) and click on Next. You can also click on 'Log in with Facebook' to sign up through your Facebook account. If you are registering with your email or phone number, you will have to create a username and password, fill out your profile info and then click on Done. If you are registering with Facebook, you will be prompted to login to your Facebook account if you are currently logged out. Enter your email address, create a username and password or click Login with Facebook to sign up through your Facebook account. If you are registering with an email, click on Sign up. If you are registering through Facebook, you will be prompted to login to your Facebook account if you are currently logged out. If you're signing up with email, make sure you enter your email address correctly and also make sure you choose an email address that only you can access. If you log out and forget your password, you will need to be able to access your email to get back into your Instagram account.